An audience member pre question remarked to Anil Kapoor, “I keep get older and you keep get younger.” Laughter all around, the statement was indeed as potent as it gets. Encapsulating Kapoor’s effervescent charm and enigma all in one masterstroke. 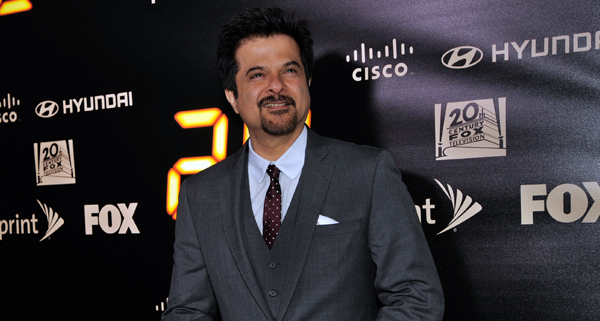 Thirty four years strong into an industry where the tide changes every Friday, Anil Kapoor has been an exception to the norm. He has been able to toe the fine line and do the commendable balancing act between commercial and ‘off-beat’ cinema without much fuss at all. Kapoor in his entire splendor was present at the TIFF Bell Lightbox in Toronto on Monday night to talk cinema, life and insights from his journey in filmdom. On a day considered to be the most depressing of the year and a chilly one at that Kapoor infused some element of warmth into the proceedings. Even willingly stepping back out to take photographs with the audience was the session had wrapped, at which point he was naturally swarmed by the anticipant crowds. Slumdog Millionaire broke open the doors of Hollywood for Kapoor. The role of the game show host who made it big from humble beginnings also had a personal connect with him. This is why SRK is known as King of Bollywood! Shahrukh Khan And Akshay Kumar Not On Talking Terms? Manila newspaper asks: Who’s sexier, PM Justin Trudeau or Mexican President Enrique Pena Nieto?